Each spring, members have the opportunity to provide critical service to the field and gain an inside view by volunteering to work on a CAA editorial board, committee, or jury. The Art Journal Editorial Board invites nominations and self-nominations for the position of editor-in-chief of Art Journal Open for the term of July 1, 2020–June 30, 2023 (with service as incoming editor designate, July 1, 2019–June 30, 2020). A candidate may be an artist, art historian, critic, educator, curator, or other professional within the membership served by CAA; institutional affiliation is not required. Art Journal Open is an online forum for the visual arts that presents artists’ projects, conversations and interviews, scholarly essays, and other content from across the cultural field. The independently edited journal publishes original material by artists, scholars, teachers, archivists, curators, critics, and other cultural producers and commentators, with a commitment to foster new intellectual exchanges about contemporary art and culture. 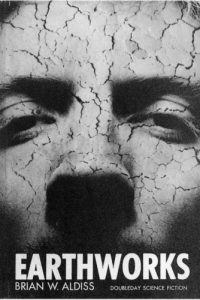 Art Journal Open prioritizes material that makes meaningful use of the web, such as multimedia formats and techniques, and is published on a continual, rolling basis. The editor is responsible for commissioning all content for Art Journal Open. He or she solicits or commissions projects, texts, and time-based content by artists and other authors, and determines the appropriate scope and format of each project. Working in consultation with the Art Journal editor-in-chief, reviews editor, and editorial board, the editor determines which pieces should undergo peer review and subsequent revision before acceptance. The editor also works with authors and a CAA staff editor on the development and preparation of materials for publication. The editorial board expects that a significant portion of the journal will be geared to work or concerns of artists, and that the editor will endeavor to give voice to underrepresented perspectives. Qualifications for the position include a broad knowledge of current art, the ability to work closely with artists in a wide variety of practices, and experience in developing written and other content for arts platforms. The position includes membership on the editorial board and, after the orientation period, an annual honorarium, paid quarterly for the three years the of the editorship. The editor attends the three meetings each year of the Art Journal Editorial Board and, as an ex-officio member, of the Publications Committee—held in New York or by teleconference in the spring and fall, and at the CAA Annual Conference in February—and submits an annual report to CAA’s Board of Directors. Candidates must be current CAA members and should not serve concurrently on the editorial board of a competitive journal or on another CAA editorial board or committee. The editor-in-chief may not publish her or his own work on Art Journal Open or in Art Journal during the term of service. Nominators should ascertain a nominee’s willingness to serve before submitting a name; self-nominations are also welcome. Please send a letter describing your interest in and qualifications for the position, a CV, and at least one letter of recommendation to: Art Journal Open Editor Search, CAA, 50 Broadway, 21st floor, New York, NY 10004; or email the documents to Heather Holmes (hholmes@collegeart.org), CAA Associate Editor for Digital Publications. Deadline: April 1, 2019; finalists will be interviewed on May 2 in New York. 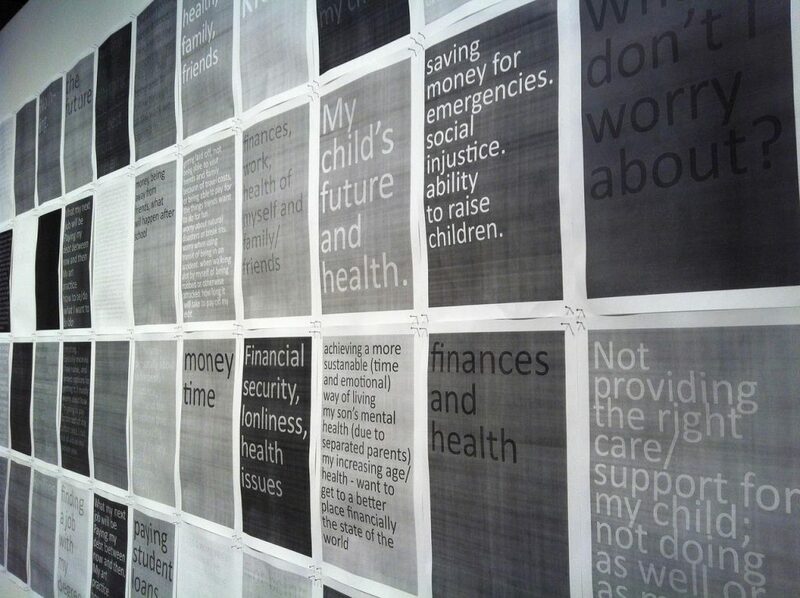 Hyperallergic‘s original piece included these graphics in lieu of reproducing contested images. Image via Hyperallergic. In June of 2018, Hyperallergic published a two-part essay by the art historian and critic Steven Nelson about the rejection of his essay about artist Deana Lawson by both Aperture and frieze. In “Intimacy, Distance, and Disavowal in Art Publishing: Conversations with Dushko Petrovich,” arts journalist Dushko Petrovich dissects the situation piece by piece, interviewing representatives from Hyperallergic, frieze, Deana Lawson’s gallery, and Nelson himself. What emerges is a document of the processes that generally don’t get recorded when pieces of arts journalism are rejected or shelved, and what factors into these editorial decisions. Read more on Art Journal Open. Installation images by Melissa Warak of Portraits of Courage: A Commander in Chief’s Tribute to America’s Warriors. 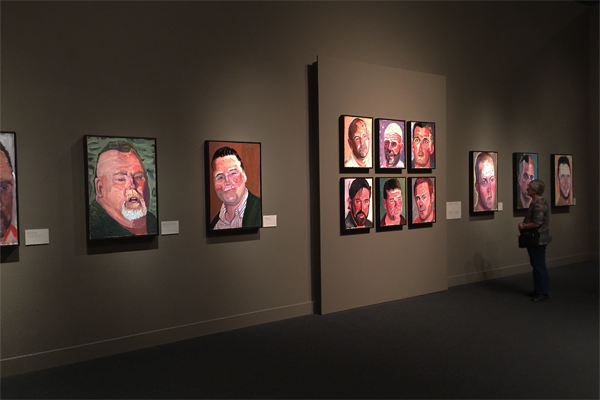 A new essay by Melissa Warak, “Warriors and Volunteers: A Review of George W. Bush, Portraits of Courage,” looks carefully and critically at a 2017 exhibition of paintings by former US president George W. Bush. Warak, an art historian with close ties to veterans and active military, approaches Bush’s artistic production both technically and art-historically, but also personally and politically. Through Bush’s rendering of both visible and invisible wounds veterans sustained in the Iraq War, writes Warak, the exhibition “aims to humanize the war and highlight the president’s connection to the wounded.” Read more on Art Journal Open. Think Tank that has yet to be named, “Structures of Support,” 2012-present. Art Journal Open seeks 500-word responses for a Forum on Public Funding for the Arts and Humanities, convened by Sarah Kanouse, Jeremy Liu, Catherine Morris, and Mimi Thi Nguyen. Moderated contributions will be posted to an online forum hosted by Art Journal Open. Some respondents may subsequently be invited to expand their text into a longer article. Three decades into the long culture wars, how are artists, scholars, and cultural organizations navigating shifting political, community, and financial tides? Where have we encountered friction or congruence between federal priorities and our work at state, local, and community levels? Has our work changed – in structure, presentation, or substance – in response to these priorities? Despite threats of elimination earlier in the year, federal funding for the arts and humanities has been preserved—at least for now. While rightly celebrating this collective accomplishment, we must also acknowledge that ideological pressures on US cultural policy are performed as much through selective funding as outright defunding. Each successive presidential administration has stamped its particular priorities on funding agencies, shaping arts and humanities research through both direct and indirect means. The grantmaking models now used by the National Endowment for the Arts and National Endowment for the Humanities were carefully devised to avoid the headline-grabbing controversies of the 1980s culture wars while articulating the value of the arts and humanities to a non-elite, often skeptical public. Simultaneously, arts and scholarly communities have sometimes struggled for diversity in terms of race, class, and gender. Nonprofit cultural and educational institutions evolved alongside twentieth-century funding models, with diminishing federal funding giving way to support from private philanthropy, and its concomitant priorities. Surviving funding programs often expect artistic and intellectual activities to contribute to community development, shore up fraying social services, or emphasize their policy implications—a challenging charge made more difficult by the patchwork of fragile social, economic, community, and technological infrastructures on which such work rests. In an environment of heightened scarcity and competitiveness, how do we negotiate the differing audiences, priorities, and compromises that inevitably register in creative, academic, and public discourse? How do we defend our existing, imperfect, imperiled institutions while also calling for—and ultimately achieving—more expansive public funding of a wider range of aesthetic and political voices? We seek 500-word responses to these questions from communities of art-making, scholarship, and exhibition practice. Moderated contributions will be posted to an online forum hosted by Art Journal Open. Some respondents may subsequently be invited to expand their text into a longer article. Responses will be accepted through August 20, 2018 to publicfundingforum@gmail.com. Elisabeth Smolarz, ENCYCLOPEDIA OF THINGS, 2014- (ongoing). Archival inkjet prints, dimensions variable. Courtesy of the artist. This interview is the last in a series of conversations led by Caitlin Masley-Charlet, focused on the utility and scope of artists residencies. In this interview, Masley-Charlet sits down with artist Elisabeth Smolarz to discuss Smolarz’s recent residencies and projects, and the importance of failure, artistic community, and cross-pollination between practitioners. Scholar Suzaan Boettger looks at the generative interplay between the science-fiction novels of the late Brian Aldiss and the Land art works of Robert Smithson, examining the word “earthworks” as a “shared emotional bedrock” between the two artists. 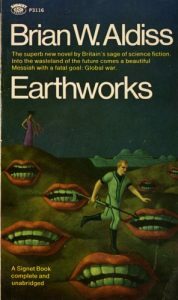 In looking at Aldiss and Smithson side by side, Boettger brings Aldiss’s work more into the realm of art history, and Smithson’s work more into the realm of science fiction and environmental degradation. In a new project for Art Journal Open, Zachary Kaiser presents CitationBomb, an app that aims to overflow the Google Scholar algorithm and subvert the systems of metrification that track academic impact, influence, and success. Pointing to the difficulty, if not impossibility, of opting out of systems that track output and activity, Kaiser presents CitationBomb as one tactic through which academics may push back against algorithmic structures. Kaiser’s new piece, “Citation Bombing: Tactical and Symbolic Subversion of Academic Metrification,” featuring an introduction by Art Journal Editor-in-Chief Rebecca Brown and a scholarly essay by Kaiser, is up now on Art Journal Open. Art Journal Open is a forum for the visual arts that presents artists’ projects, conversations and interviews, scholarly essays, and other forms of content from across the cultural field. 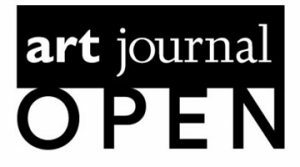 Published by CAA, Art Journal Open is the online, open-access affiliate to Art Journal, a quarterly journal devoted to twentieth- and twenty-first-century art and art history. Through the Repellent Fence, 2017 (film still), dir. Sam Wainwright Douglas, 74 mins. Just published on Art Journal Open, “Decentering Land Art from the Borderlands: A Review of Through the Repellent Fence” by Emily Eliza Scott presents a close look at the 2017 film Through the Repellent Fence, a documentary about the interdisciplinary collective Postcommodity. 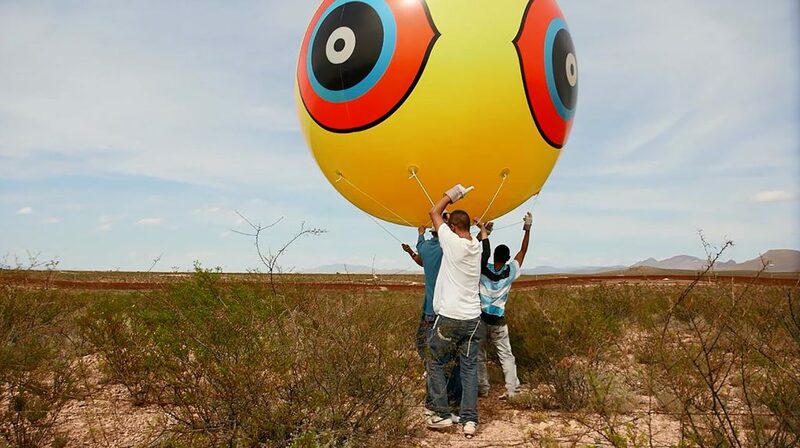 Scott examines Postcommodity’s practice, its relation to and divergences from Land art traditions, and the role of art along the US-Mexico border. Click here to read more. In this annotated commentary, artist A.K. Burns and art historian and critic Melissa Ragain explore the script, performances, and citations in Burn’s video installation A Smeary Spot (2015), which is the first episode in her five-part Negative Space film cycle. Visit Art Journal Open to explore Scripting A Smeary Spot. Art Journal Open presents Medias Res by Los Angeles–based artist Nick Herman, with an introduction by Art Journal Open’s Former Web Editor, Gloria Sutton. Medias Res is the second of two projects that Herman has created for Art Journal Open, and features Herman’s exploration of his artworks and texts related to his interests in static, rastering, layering, and other transmission processes. These interests have led Herman to create two new works to be viewed on Art Journal Open: Comm 1 (2017), which takes the shape of a unique and experimental pop-up GIF experience, and MERROR ERROR TERRIOR (2017), a downloadable image. Visit Art Journal Open to explore Media Res.